Why are my blogs hard to read? How does magnetism help organize life? This is why my blogs are tough to read. To get better, you have to acquire as much knowledge as possible about how nature organizes life. Life begins on the smallest stage, and the smallest stage is controlled by quantum mechanics. It is not controlled by genes or gene products, but, in fact, is created from the quantum mechanisms in the universe. The very same things that make stars make us. Life, at its core, is the same thermodynamic problem a star faces at creation. He was a philosopher talking about his perception of life, but he actually stumbled into life’s “main paradox” without realizing it. Philosophers like to analyze life poetically by using existentialist thinking. You will never solve life’s riddle this way. Why? Just embracing the shared belief that philosophical thinking begins with the human subject—not actually thinking deeply about the subject, but the acting, feeling, living human individual isn’t enough. Forget reading Kierkegaard’s quote like a philosopher. 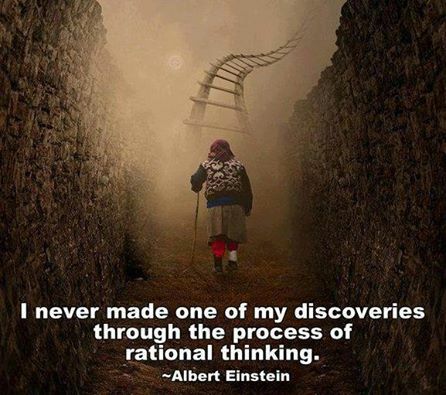 Instead, embrace the scientist in you and realize what he is trying to convey. He is describing a classic thermodynamic problem. Specifically the second law………for life. Now, think about a physicist or an engineer. How do they solve any thermodynamics problem? Physicists like to think that all you have to do is identify the conditions, but what happens next? They read the problem right to left, not left to right. Why? We should have all been taught very early in life the difference between knowing the name of something and actually knowing something. Human religious beliefs and philosophy seem to muddy that water for many, and they fail to see the world right to left when asking questions. Science is crystal clear in this arena. Now stop………where have you heard that advice from me before? EMF 2. Feynman has a great quote about this disordered thinking: “Philosophers say a great deal about what is absolutely necessary for science, and it is always, so far as one can see, rather naive, and probably wrong.” Reading Kierkegaard is inspiring but it solves nothing because his insight causes you to think left to right when, in reality, you need to think in the exact opposite fashion to solve the problem. So I must teach you the very complex so you get the full, unadulterated message to help change the world. Not everyone will immerse themselves and focus on these lessons. Some will. I write for those who will ascend to that challenge. One of the most amazing things about the human brain is the fact that it is capable of performing trillions of computations during consciousness while using a very low power voltage. The voltage used by the human brain is on the order of 20 watts. If you have any light bulbs in your house, you will see that even you refrigerator light bulb uses more, and it is only capable of turning light on and off when the door opens. When you have a basic understanding of how one can engineer a low power computer with a lot of computer memory, you will then need to know a little bit about controlling magnetic domains. Most people know that computers use magnetic drives to store memory in digital form. The problem is that this is an energy hog in computers, and it has been a real problem in extending the battery life of computers or, for that matter, any technology that uses batteries. So far in the technology industry, they have tried to better the situation by improving battery technology and using lithium-based batteries, but this is problematic because these batteries cannot be safely shipped via planes all over the world because of their vulnerability to explosions and fire. It is believed the plane that recently disappeared over the Indian Ocean was carrying this type of cargo. I have told you that as part of the three-legged stool in Energy and Epigenetics 4, all life organizes around these three concepts. In fact, the organization of the cell is critical in understanding this foundational principle. So how does the cell maintain “battery power” across all the collagen and water semiconductors in the human body? Simple. It uses magnetism to control magnetic domains of water. Water is the perfect magnetic dipole, and it fills every cell and tissue in our body. The human body uses a special type of semiconductor called a topologic insulator to make an electrical switch that controls magnetic domains. I covered this fourth phase of matter in the February 2014 webinar. Electrons and protons carry information, energy, and spins. It turns out the magnetic moments of electrons in water are tied to being able to harvest the information buried in the spintronics of electrons/protons. In magnetic materials, the cause of the magnetic moment are the spin and orbital angular momentum states of the electrons, and whether atoms in one region are aligned with atoms in another. You need to view a magnetic dipole as a rotating charged sphere brings out the close connection between magnetic moment and angular momentum. This charged sphere is subject to the infinite power and range of the electromagnetic force. Both the magnetic moment and the angular momentum increase with the rate of rotation of the sphere. For a spinning ‘charged solid’ with a uniform charge density to mass density ratio, the gyromagnetic ratio is equal to half the charge-to-mass ratio. This implies that a more massive assembly of charges spinning with the same angular momentum will have a proportionately weaker magnetic moment, compared to its lighter counterpart. Protons have mass. Electrons effectively do not in comparison to protons. This is a huge issue to understand. Why? The addition of electrons increases the magnetic moment of any system tremendously. The main semiconductor in your brain is DHA. It is designed to allow you to capture and an unlimited number of photons and electrons from your environment. No other molecule found on this planet is as sticky to electrons or photons as DHA. There are 2 main processes that determine health, illness, and body composition for humans. You must increase your magnetic moment by capturing as many photons and electrons as you can in your life. Your body must be put in the position to collect photons and electrons. This aspect of health is 100% controlled by proper circadian signaling of the environment by your brain. Then you must be able to assimilate or catch the electrons and photons to stream and move them where they are needed within your internal power grid. The topologic insulators within you that. Your brain captures all the DHA from seafood and puts them in your cell membranes which allows you to catch them well. Your cell membrane is an antenna for the electromagnetic force within your environment. Like most things in the technology industry, the new technologic advances are based upon an expanding knowledge of solid-state quantum physics. The ironic finding is that Lady Evolution has been using this tool chest to build us for 4.4 billion years with her quantum blueprint as well. The problem is few people know it. The human brain uses this electric switch to control water’s magnetic domains in the CSF, as well as the extracellular and intracellular water that flows between neurons and glial cells. MIT scientists just tripped over a way to do the same thing in a computer using another semiconductor pair. MIT researchers recently developed a new approach to controlling the motion of magnetic domains; this work could lead to low-power computer memory. It also pulls the veil back on how the brain does what it does with water to conserve energy. They developed a new way of controlling the motions of magnetic domains — the key technology in magnetic memory systems found in a computer’s hard disk. The new approach requires little power to write, and no power to maintain the stored information. This is likely going to lead to a new generation of extremely low-power data storage, furthering the advancement of computer power while lowering costs. The human brain has done the same thing to improve its cognitive power while returning more entropy back into its environment to improve its efficiency. You might be asking how is this possible? It turns out that organisms are, in general, much more sensitive to weak magnetic fields than to weak electric fields. The reason for this is in how lipids in their brain are built around DHA as well as the sulfated glycoproteins in the brain that are loaded with electrons. Since a weak magnetic field is primordial to Earth, it would make sense that life would organize around this variable as a “primordial given” condition. It turns out that magnetic fields have innate solid state effects which depend less on the energy of the field within the environment than on the ability of the field to orient molecules and atoms with magnetic moments. As such, this gives them the possibility, based upon their ability to deflect moving charges. This ability is directly proportional to how well the 3-dimensional arrangement of the molecule, with the magnetic domain, can break symmetry in the system. Water is the ideal symmetry breaker in biology. The asymmetry of the water molecule is due to the 105-degree bond angle between the two hydrogens in relation to oxygen. This arrangement leads to a dipole moment in the symmetry plane pointed toward the more positive hydrogen atoms. In physics, however, symmetry means uniformity or invariance, or “the existence of different viewpoints from which the system appears the same” (Anderson 1972). Symmetry breaking is the process by which such uniformity is broken, or the number of points to view invariance are reduced, to generate a more structured and improbable state. This new state requires that energy is transferred. What emerges from a break in symmetry is a new emergent property of matter. Water changes things. It is a molecular adapter that transfers energy. It turns out water has this built-in ability because it is a perfect molecular magnetic dipole. It is asymmetric because of its binding angles. This is why just about everything can be dissolved in water. Water has the ability to transform into many forms itself and it can transform many other sources of matter into something else quite easily. We use water’s asymmetry to break electrons from oxygen everywhere in our body. This means water is the perfect molecule to break symmetry in any thermodynamic problem. This should be no surprise to anyone with a basic chemistry background. Life fundamentally is a thermodynamic problem. On the spaceship called Earth, water is also the primordial element that life organizes around. As such, when you are designing a nanomachine thermodynamically, you would use the “givens in the system” for the organization and achieve the desired effect. Alteration and maximization of the quantum abilities are locked within the quantum mechanisms built into the water molecule itself. This is is precisely how the NASA engineers got the astronauts back from the Apollo 13 disaster. Their accident created a thermodynamic problem for NASA. Here, they had to figure out how to clear the lunar module of CO2 rapidly, using only the tools that were actually in the lunar module. Using only the materials on the craft, NASA engineers had to find a way to shove a square shape into a round hole to get the CO2 gas out of their environment before they asphyxiated. The problem was that the command module tanks were square in shape and the lunar module tanks were round. They could not interchange the tanks, which became a thermodynamic engineering problem. Time was a factor, too, because the command module had 3 astronauts in it and the lunar module, which served as their ventilator, only had space for two astronauts. This meant that they would exhaust their oxygen supply faster while rapidly building up the CO2 levels! This led to one of the more remarkable human engineering feats in history. According to NASA, “following instructions from mission control, it took the astronauts about 1 hour to build the device out of plastic bags, cardboard, parts from a lunar suit and a lot of tape.” They got it done. How did they do it? They looked at what ingredients they had to work within the crippled command capsule, and they knew what the goal was. It was to save their lives and return to Earth safely. So their issue was to organize a solution around what the “givens” where in this situation, and use that to accomplish the goal of lowering the CO2 exhaled and O2 inhaled. At life’s genesis, quantum physics did the same thing with what was on Earth back then. It used what was primordial on the Earth’s surface to organize life around those factors. From this point, it used the three fundamentals of nature to improve upon the system by using the innate abilities of electromagnetic forces to control charged particles in a weak magnetic field. It used the sunlight, namely its contained electromagnetic force, and the protons and electrons in the matter that was present on the planet to organize the first topologic insulator in collagen and water, and then put it next to hydrophilic and hydrophobic membranes. The MIT researchers believed their “invention” was a new approach that controls magnetism by applying a small voltage, rather than a magnetic field. They said they believed it could lead to magnetic storage devices in which data is written on microscopic nanowires or tracks, with magnetic “bits” of data hurtling along them like cars on a racetrack. In a cell, collagen is a biological nanowire that forms a tensegrity structural skeleton that links the cell membrane to the nucleus. Water is the battery of life. Water breaks down to a positive and negative charge when it just touches a hydrophilic substance. Water makes up 99% of the molecules in a cell. The reason for this is because water is a small molecule compared to the proteins within a cell. All proteins carry a negative charge and are hydrophilic. Perhaps now you can see why water makes up the majority of a cell and why proteins have a negative charge and are hydrophilic. They are the givens in life’s thermodynamic quantum puzzle. Life organized around them all. Gerald Pollack has shown this water ability beautifully through his research in his new book, The Fourth Phase of Water. 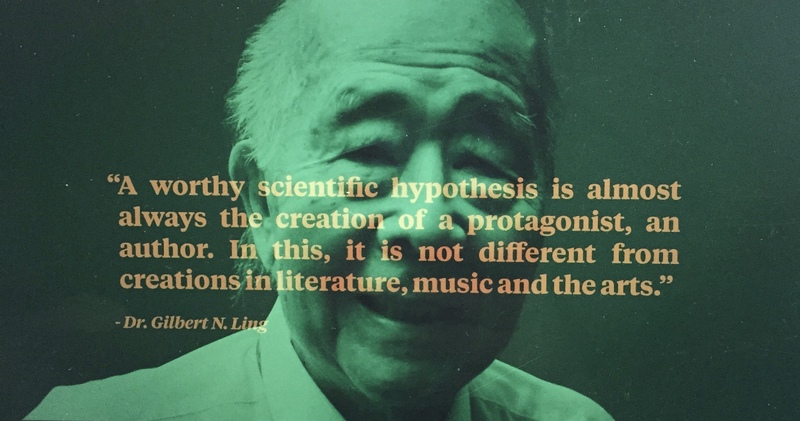 It is an extension of Gilbert Ling’s work from his AI induction hypothesis. From Dr. Gilbert Ling’s work, Ray Damadian M.D. invented the MRI, which uses the magnetic moments of water to generate images of tissues in the human body. GE corporation later stole his patents and invented other aspects of the technology, but had to pay millions of dollars to Damadian in patent infringements after a prolonged legal battle. Using these magnetic moment differences in tissue types, we can tell what atoms are present in different tissues and in disease states from normal states of health. This is exactly the same technology an astrophysicist uses when examining a star’s light with spectroscopy. An astrophysicist can tell precisely what atoms are in a star’s nuclear core just by examining its emitted light. Remember, light is a form of electromagnetic force. MRI’s original name was NMR. It stood for Nuclear Magnetic Resonance. Damadian stripped that name in the 1970’s because he was afraid the new technology would be hindered in the medical marketplace if the word “nuclear” was introduced. MRI was the politically corrected replacement name it was given. So how did the MIT guys do it? To achieve their feat on silicon, the MIT team built a new type of device that controls magnetism in much the same way that a transistor controls the flow of electricity in any simple electronic gadget we see today in a Radioshack. The key ingredient of their innovation is a layer of ion-rich material in which atoms have been stripped of electrons, leaving them with an emergent electric charge. When we strip electrons from any surface it causes a phase transition, and the second law of thermodynamics dictates that a transformation of energy must take place. When energy is transformed, it leads to a new form of matter that often has new properties that neither of the parent forms of matter contained themselves. This implies that a cell should have a very strong internal electric potential. They do. Cells contain lightning bolts. Biology is just waking up to this truth. They still have no idea why it must be present thermodynamically. In a human cell, the exact same process occurs that the MIT researchers just discovered. The main difference is that it happens on a carbon-based semiconductor that uses water for its electron source. When the hydration shell around proteins is present (and not absent due to dehydration) the water charge separates naturally without any input of energy. The reason is simple. The water is adjacent to proteins which are hydrophilic and have a natural negative charge. This causes the water to separate to -OH groups with a negative charge and hydronium ions with a positive charge. Between these two layers lies an exclusion of water (EZ). It is an interface that has a different refractive index of the other two layers. In this way, it separates into a three-layered prism of chemicals that all have their own emergent properties and react differently with photons from sunlight. It is very similar to the prism you would see on the cover of a Pink Floyd album. Each layer of water split into its prism of the electromagnetic spectrum also has emergent interactive properties within the sun’s light. Once this process occurs naturally, self-assembly begins using entropy. Water interacts most with the infrared (IR) part of the electromagnetic spectrum of our sun. Once IR light hits the EZ of water, it gets a lot larger in size and creates a voltage naturally. Water is the life battery that makes the voltage. The exogenous energy source is the sun’s native electromagnetic spectrum in the IR band of light. The IR band has another advantage. It can be absorbed by carbon-based life and the IR energy can be stored in it as heat. This is a potential energy that life can use at any time of the day. It does not need the sun to be present all the time. This is a huge benefit on a planet that has a 24 hour day where the light comes and goes. This is why heat is a big factor in quantum cellular design. It is available day or night, and it is 100% tied to the creation of the proton flows just outside the EZ, as Pollack has experimentally shown. Biology still believes ATP provides this energy. Ling showed no ATP is needed at all. Pollack showed why Ling was right. No energy from ATP is needed. When these protons flow adjacent to the inner mitochondrial membrane, it helps improve the charge or voltage on this membrane to improve the redox potential in the cell. This generates a massive voltage across the lipid membrane because the membrane is very thin. Ling and Pollack have shown that this change separation created a huge proton gradient next to the membrane. Protons have a positive charge, and this causes a pH gradient to develop. As it develops, so does an electrical charge of about 150 millivolts across the inner mitochondrial membrane. This may sound like a small amount of charge to you but consider this ‘physics fact’ about electric voltage. The inner membrane is only 4-5 nanometers thick, so the voltage across this membrane is about 30 million volts per meter! I told you this was one of the key things that caught my attention when I was reviewing Frolich’s work in quantum biology. For comparison, that is equivalent to the voltage found in a bolt of lightning. That one bolt has the power to generate the energy of 1500 three thousand square foot homes from one mitochondrion. Each cell has hundreds, even thousands, of those powerhouses in them to make electrons from oxygen. The cell uses this small electric charge to control the water inside and outside the cell to amplify its signal in cell membranes. This makes cell membranes very sensitive to electromagnetic fields. In fact, if the cell membrane is un-myelinated, the cell is even more sensitive and can act as an antenna. The stronger the electric voltage on the membrane, the stronger the antenna is to sense a magnetic field. The human neocortex is completely un-myelinated and sits adjacent to CSF in our skull. This small voltage in DHA laden membranes can also control the magnetic moments of water in our collagen-based semiconductors, just like the MIT researchers found in their new technology research. When protons flow next to the mitochondrial membrane, the body begins to make ATP by stripping electrons from proteins. Note that no ATP is used in any of this process. ATP, however, is used to unfold proteins. It does this by withdrawing electrons at very specific places in the three-dimensional atomic arrangement of the proteins. This electronic induction can alter the proteins physiologic abilities. Here, a protein can have a new emergent ability it did not have before electrons were added or subtracted from the protein. This alters its three-dimensional atomic structure. Remember, electrons give all chemicals and proteins their specific chemistry. The magnetic moment of an object is a measure of the object’s tendency to align with a magnetic field. The more electrons you collect and catch the more you become in tune with the Earth’s magnetic field. The more electrons you lose the more you become out of tune with the Earth’s magnetic field. Fundamentally, contributions to any system’s magnetic moment may come from sources of two kinds: (1) motion of electric charges, such as electric currents, and (2) the intrinsic magnetism of elementary particles, such as the electron. Electrons and many elementary particles also have intrinsic magnetic moments, an explanation of which requires a quantum mechanical treatment and relates to the intrinsic angular momentum (spin) of the particles. It is these intrinsic magnetic moments that give rise to the macroscopic effects of magnetism, and other phenomena, such as electron paramagnetic resonance. All the steps up until this time just use the natural elements present in the cell to generate energy in a self-assembly fashion. This is how a zero entropy quantum machine begins to organize at its most basic level. If something causes the voltages to be altered and/or lowered, this directly affects the energy available to fold a protein’s tertiary and quaternary structures. This folding is highly dependent upon the 3-D atomic relationship and the electrostatic charge around the protein. When this redox potential is lower, it dramatically alters the atomic 3-D arrangement in the structure, and the protein does not fold properly. When this happens, it cannot self-assemble correctly to perform its physiological design purpose. Electrons are quite important to the work that goes on inside a cell. Electrons are the only subatomic particle that we know about that has the ability to carry a ” relatively massless” form of energy and information from our environment. Anytime mass increases in a thermodynamic system energy must decrease according to Einstein’s mass equivalence. Since electrons have little mass but carry energy, information, and spin they actually make the system more thermodynamically stable because they add nothing to mass in E- Mc2. When you use a subatomic particle with a higher atomic mass, like a proton, you have to add more energy into the quantum cellular design to make things work on a low power system. Energy is at a premium for life, so it makes sense why the atom with the lowest energy state was selected as the building material for life’s semiconductors. Carbon is the lightest atomic semiconductor on the periodic table. Silicon’s atomic mass is much higher than that of carbon. When mass goes up in a material, what does Einstein’s mass equivalence say about this set of thermodynamic circumstances? It says you need more energy to run the system you are designing. This very fundamental natural fact pushes your design further away from the efficiency of the second law of thermodynamics. Cells try to get as close to a zero entropy state as possible, and this is why we are designed to collect more electrons as time goes on in evolutionary design. The electrostatic voltage on our membranes also have another ingenious effect. They make our cell membranes very “sticky”, which allows them to hold on to electrons once they get them. The more electrons the system collects over protons, the more energy efficient we become. Since electrons carry energy and information without the constraints of mass, they can build complex structures. Your brain is one of those structures. The more electrons you collect, the more complex systems you can evolve at a VERY low energy cost. This is why the brain can work on just 20 watts of power. To date, no one has explained how the brain does what it does on just 20 watts of power. The electron is the solution of the problem. Your brain is the ultimate electron collector because of DHA. You might be asking this question if you’re a smart cookie: If electrons are stripped from atoms to form an electric current, why doesn’t the molecular formula of the material from which they are stripped change? Removing electrons from an atom is called ionization. Even though an electron is stripped from an atom, its mass is not changed since electrons have negligible mass. This “relative massless” concept is massively important. Electrons also have a negative charge, while protons carry a positive charge. In the universe, the electromagnetic force is the only fundamental force that can control charged particles. This is another given in nature’s thermodynamic design. Remember from Einstein’s equation, time is directly proportional to the mass of an object. Derived from the equation, the smaller the object’s mass, the slower time flows around that object. Since electrons add “massless” energy and information to any system, what does this relationship due to our time perception? Time slows down on a relative basis. This means you live longer and you avoid disease. Do you think I might be teaching you how to use this to your advantage for a disease reversal? If you could slow time, would you die faster or slower? And conversely, Einstein’s theorem says the greater the mass of the object, the faster time would be perceived to occur. This is why as you get older, time seems to speed up. If time goes faster, do you live longer or not? Following the thought experiment forward, time would be slowest in space, where there is nothing but subatomic, chaotic particles. Nothing in space is organized. This is precisely why Einstein said that space travel should make us younger. Remember how I told you I figured this all out using a Russian cosmonaut paradox in EMF 2? Of course, when electrons are stripped from an atom within proteins, it becomes more positively charged than before since it lost an electron. Its charge changes. What might that do? In the 1960s, Gilbert Ling found that ATP is a natural electron withdrawing protein, so its “real purpose” in a cell, organized in a quantized fashion, is to strip electrons to make proteins more positively charged. When a protein gains electrons, it becomes reduced, and when it loses them they become more oxidized. Since proteins can both gain and lose electrons in this way, they can vary their charges between these electronic states, making them very reactive to low electromagnetic forces. This is the most critical point in this entire blog. Remember, I told you in Energy and Epigenetics 11 that the electromagnetic force is the strongest bonding force in the universe for charged particles. These are the same forces that the native electromagnetic field has on “spaceship Earth”. This is what proteins are coded for in nucleic acids. When they are saved inside of DNA and RNA, they are saved using the magnetic moment of water to retain its precise 3-dimensional molecular arrangement. This is the basis of Dr. Luc Montagnier’s experiments I showed in the video in EMF 1 and spoke about in EMF 3. Both of those EMF blogs show that water seems to have a memory. On the surface, this seems impossible based on what biology believes to be true today. The journal Nature Magazine published his controversial work. It was an extension of Benveniste’s work that modern scientists mocked. They even accused him of scientific fraud. This will turn out to be tragic in my view. What happened to him is akin to the same thing Gilbert Ling faced. They could not fathom what they both have found because none of them understand solid state physics. Just because you don’t understand it doesn’t mean it isn’t so. Scientists need to learn this lesson, but their dogma blocks them from this truth. Sometimes you have to have the idea at the right time to make an impact. The implications of EMF 2 and EMF 3 are massive for biology and remain fully untapped. Those two space experiments show us that time contracts when we lose the sensation of magnetism. When time contracts, we develop illnesses. When we are exquisitely sensitive to the magnetic field, time dilates for us on a relative basis. The reason is simple. You are collecting electrons that add no mass to your body, allowing you to conserve energy, while thermodynamically giving you huge amounts of information and energy for free. So the name of any improvement in you is intimately tied to how well or badly you collect electrons. This is why the human brain has massive amounts of cell membranes which are un-myelinated at its surface. This is the massive difference between us and our nearest ancestors. This free energy drives longevity in us and can be harnessed to create health reversals by utilizing the free energy and information contained within. These particles are also what humans have used to develop another emergent phenotype that we call consciousness. It turns out the MIT researchers have pulled back the veil of how electrostatic interactions occur on matter as well as how we can explain magnetic water memory. This will turn out to be a big deal later on in the series when I discuss the brain, the concept of memory, and where it comes from. It, too, is an emergent physical property in the refractive index of water and has its magnetic moments controlled in specific ways with respect to electron/proton spins. For those of you who heard the fourth phase of matter webinar in February 2014, you will begin to see the picture I am painting for you a lot faster than most just reading this blog. The brain generates memory using the very same technique the MIT engineers just found. Not all proteins can alter their electronic states with precise sensitivity and specificity that the cell needs. When the emergent protein shows an ability to perform the correct physiological task that the environment dictates, it is magnetically added to our nucleic acids. When it does not serve a useful purpose, it remains in use and the electromagnetic force continues to alter its structure using the power of sunlight to alter any charged particle. This includes proteins. In this sense, proteins become a deck of cards we can shuffle to improve our thermodynamic problem. Anything found to bring us closer to a zero entropy state thermodynamically gets tagged to be saved. In this way, evolution proceeds to innovate what it needs based on what the environment calls for, and we extinguish what is superfluous. Since the process takes time to innovate, many of those initial changes first present themselves as diseases. They have to be worked on by the quantum process under the direction of the three primordial forces of nature for life mentioned in Energy and Epigenetics 4. What drives the process of change? The constant electronic induction of proteins by sunlight. Remember EMF 2 and the story of viruses in the oceans? DNA and RNA are just a magnetic recording of the good things we found. Proteins are life’s stage, not genes. The addition and subtraction of electrons make them more or less reactive to the electromagnetic force. This is because of the reaction on charged particles with infinite range and power. This is the Pandora’s box that Bohr and Einstein warned FDR of in the 1930’s. When proteins are electronically induced by the addition or subtraction of electrons or protons, the proteins’ molecular structure remains identical, but differences emerge in how negatively or positively charged an atom is that protein. This alters the way it can bend. If it is bent wrong, it does not work, and energy is lost in the cell. This is bad and causes the cell to look for a way to remove the bent protein with autophagy. If autophagy is broken………it can’t. This is why all neurodegenerative diseases are more sensitive to the electromagnetic force, and also why they are all associated with low levels of ATP. ATP is an electron withdrawing chemical, as noted in Ling’s experiments, and it changes the charge on the side groups of proteins to control proper bending. This withdrawing event removes electrons and alters tertiary and quaternary folding of proteins. Neuro-degeneration is a brain disease. Cholesterol makes up a large part of the membranes in the human brain. All neuro-degenerative conditions are associated with low levels of cholesterol as well. Cholesterol, in sheer number, is reduced in these diseased brains, but the cholesterol that does remain is not able to have its electrons stripped to store magnetic memories. This is because its charges are altered due to changes in water chemistry around these cell membranes. Water is what allows for photon or electron flow in membranes. This means cholesterol is also a semiconductor. The polar nature of water and cholesterol molecules allows them to bond to each other in groups. Cholesterol needs electrons to remain polar. It works ideally in this state and not in its oxidized state. The dipole moment of water provides a “handle” for interaction with microwave electric fields in a microwave oven. Microwaves can add energy to the water molecules, whereas molecules with no dipole moment would be unaffected. The polar nature of water molecules allows them to bond to each other in groups and is associated with the high surface tension of water. The polar nature of the water molecule has many implications. It causes water vapor at sufficient vapor pressure to depart from the ideal gas law because of dipole-dipole attractions. This can lead to condensation and phenomena like cloud formation, fog, the dewpoint, etc. It also has a great deal to do with the function of water as the solvent of life inside all cells. Remember brains and membranes ARE basically fat and, as such, generate/store electron charge. Sulfated proteins attach to these saturated fats and produce a voltage when they bind to the polar cholesterol molecule! So when cholesterol levels in the brain are lowered, voltages drop tremendously. We see this on EEGs all the time as clinicians. This means your redox potential in the brain drops like a lead balloon. Cholesterol is a necessary fat that only causes trouble when it is oxidized and missing electrons, making it electron hungry!!! Adding photons or electrons makes it more and more negatively charged than it should be, and removing electrons makes atoms more and more positively charged. When a protein becomes more positively charged, guess what the ubiquitin pathways do? They mark the protein for removal. What did I tell you about protein removal? It is one of the most expensive energy steps in cell biology. This means it costs us a lot of electrons. I just explained to you that the neurodegenerative brain has a broken energy system with respect to water, electrons, blood flow, and a low voltage on EEGs. So for example, in Alzheimer’s disease, when your voltage drops too low and energy is low, you can no longer use this voltage switch to induce the magnetic memory of the water system in your brain. Not only is the switch broken, but the magnetic dipole (water) is missing. In Parkinson’s disease, the mechanism is the same, but the trigger determines the phenotype of the disease. The same is true of MS and autism. This is why you are seeing neuro-degeneration exploding exponentially in our modern world. The MIT researchers also showed in their research that a voltage applied to a small electrode above this thin layer can either attract or repel those ions; the ions, in turn, can modify the properties of an underlying magnet and halt the flow of magnetic domains. They said they believe this could lead to a new family of “magneto-ionic” devices. I have some news for those researchers. This neurosurgeon says that I operate on a form of matter that has that very same ability right now inside of your skull. They believe the effect depends on chemical interactions at the boundary between thin layers of magnetic metal and solid-state electrolyte materials that are sandwiched together. This neurosurgeon says that is precisely why white matter tracts are organized the way they are in the brain. It forms the exact same matrix of action. They believe this solid state quantized arrangement allows for optimization of the “interfacial chemistry” that determines the magnetic properties. This is precisely what Robert O. Becker found in his experiments on anesthesia and the DC electric current in the CNS and in in the interfacial regions of nerves. It is here where tissues get their regenerative currents to drive the morphogenic fields in the neuroepithelial junction of all mammals. There are many more lessons for people to contemplate. Do you still think I might be wrong……or do I see something no one else sees? The MIT boys speculate that, in practice, such a system would use a wire (collagen) or strip of ferromagnetic material (water) with a series of regularly spaced, small electrodes on top of it (white matter tracts of neurons) . Lady Evolution does not speculate, she innovates…….The magnetic bits between these electrodes can then be selectively written or read. Welcome to where memory is made in you folks. And when water chemistry is bad…….so is your memory, as well as your sleep. Re-read the quantum sleep blog. The brains at MIT say once the orientation of the magnetic bits between two electrodes has been set by “this device” (think brain), it will inherently retain its direction and position even in the absence of power. This is why Becker found that wakefulness and sleep had opposite polarities magnetically when he examined it. He talked about it in his books and even admits that he felt it was important, but he had no money or time, to study it because the military was too busy burying his data to shut his mouth about the Sanguine EMF antenna in Wisconsin and the power lines in upstate New York. The MIT guys then go on to speculate that they would expect, in practice, we could set a magnetic bit, “then turn the power off until you need to read it back.” Sounds a lot like how memory and sleep work in the brain, don’t you think guys? Consider also, because the magnetic switching requires no magnetic field, “there is next to no energy dissipation”. Here is another aspect of the quantum organization of a zero entropy system; this is how life optimizes magnetism for its benefit. Maybe you can see why the brain only uses 20 watts to work in humans, but also has the astounding ability? What’s more for this story is that the resultant pinning of the magnetic bits is extremely strong in space/time, yielding a stable storage mechanism within the system. What does this mean? This implies how long-term memory is formed. Short term memory likely uses another magnetic property to store its data before it gets magnetized by the hippocampus, which utilizes the action of melatonin and cortisol. The MIT guys say their key ingredients in making this system are “very simple oxide materials”. The brain uses oxygen moieties in water to do it. In particular, the MIT guys pointed to tests where they used gadolinium oxide, which is already used in making capacitors and semiconductors. Gadolinium is used as a contrast material in MRI exams on the brain. Too bad the MIT guys don’t read neurosurgery literature. They might get inspired to study the quantum brain like I do. Dan Allwood, a researcher in materials physics at the University of Sheffield (who was not involved in MIT research), says that it “not only offers a novel technical path to control dynamic magnetization processes in patterned nanostructures (think collagen), but in doing so also presents new physical processes in how voltage can influence magnetic behavior more generally (think the Earth native magnetic field). For those of you following me closely, the implications of the last statement are huge for the biology of sleep and regeneration. When we lose voltage in the brain, we lose our ability to form memories or recall what is magnetized by our water memories. The space experiments I mentioned in EMF 2, along with these MIT experiments, show us that time contracts when we lose the sensation of magnetism, and it dilates when we increase it. We lose magnetic sense when we lose electrons. Non-native EMF drains electrons from carbon-based life forms because the atom used to the semiconductor technology is silicon. Silicon draws more power to it because of its higher atomic mass. This implicitly shows you why a loss of sleep is a direct effect of non-native EMF blockage of the natural native EMF signals we use to direct sleep cycles buried in circadian signals from the environment. It also implies why illness is coupled to them. When sleep goes awry, autophagy can not clear misfolded proteins in the brain. We have electron deficiency syndrome in this case. Are you sensing a trend yet? When time contracts in life, so do the telomeres in your cells. Why? You are losing electrons for some reason. Every time a cell divides, its telomeres get shorter. A telomere is an atomic molecular timepiece for biology. It senses how many electrons we have in the system to coordinate cell division and control copying of our chromosomes. Telomere length doesn’t isolate things for a specific diagnosis per se. For most people, telomere lengths are a statistical relationship of how efficient a cell is, with respect to the Second Law of Thermodynamics. It is a good measure of how organized our cells are with respect to the 3 legged stool. This is why telomere lengths correspond with a set of chronic progressive diseases that often go together. It turns out telomeres also have a way to reverse time. And the action of this pathway is intimately tied to electron collection as well. It should be no shock when I tell you that research has already shown a diet higher in marine omega-3 fatty acids (think DHA) in the blood had less telomere shortening overall. It also showed that those whose telomeres actually lengthened over the five years were much more likely to have started with higher omega-3 levels. This is why the Epi-paleo Rx is the best idea for a reversal of any human disease. It prescribes a diet of electron overload. Reading about technology and how I can solve our EMF problem has paid a lot of dividends. In fact, these physics guys have taught me a lot about the process of thinking. The irony is that the total knowledge base of a physicist is actually pretty limited. What a doctor has to know to practice is astounding. A physicist only has to remember the natural laws to get him from one place to another and he is good to go. It seems medicine could learn something from that kind of thinking. Physicist, now has gone on to speculate that ‘understanding the detailed origins of these effects could allow the creation of simple, low-power information-technology devices” (Uh, Dan, did you know the human brain only uses 20 watts of power!). For those of you who listened to the February 2014 webinar……….I just saw your mind go BOOM with that last thought I wrote. I told ya that spintronics thing was gonna be big in humans! !